Substance use disorder (SUD) is very commonly related to an underlying mental health issue, such as depression, anxiety, or bipolar disorder. When a person is suffering from co-occurring substance use disorder and mental illness, they need what is known as dual-diagnosis rehab to treat both the immediate effects of their drug and alcohol addiction, as well as the associated mental health issue. Dual-diagnosis rehab can be administered in an inpatient, outpatient, or partial hospitalization program, and includes a combination of group therapy, individualized counseling, and supplemental techniques, like cognitive behavioral therapy (CBT), dialectical behavioral therapy (DBT), motivational interviewing, and more. The Substance Abuse and Mental Health Services Administration (SAMHSA) reports that over four percent of Indiana’s population suffers from serious mental illness. 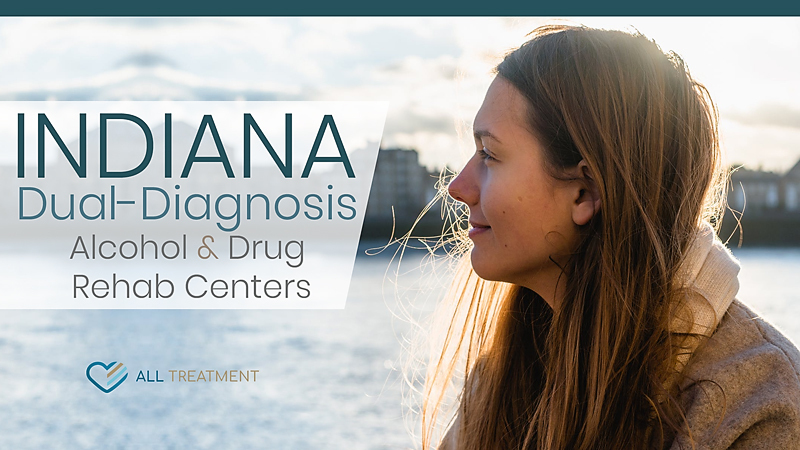 There are a variety of dual-diagnosis rehabs in Indiana that treat a wide range of mental health issues including trauma and PTSD, depression, anxiety and panic disorder, and more. Some of these programs cater to age-specific populations and are able to treat the unique behavioral issues associated with teens and young adults. Many Indiana dual-diagnosis rehab centers are partially or completely covered by Medicaid or Medicare or private insurance.